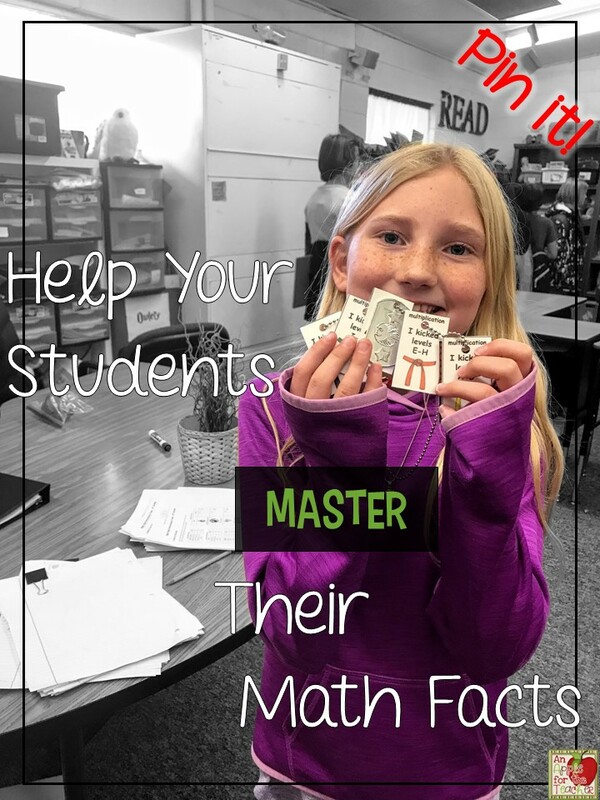 Do your students struggle with math facts? 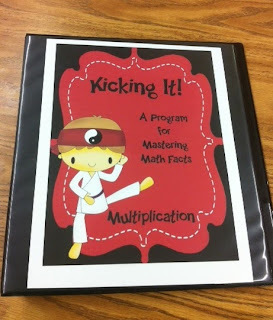 Ever since my days of teaching 7th grade I have wanted to help my students develop their fluency in math facts. I would struggle teaching a student how to multiply 3/4 X 2/8 because they didn't know what 4X8 was. So... when I started teaching elementary I vowed that my kiddos would not leave me without knowing their math facts. But... how to do that? A lot of people say, "They just have to memorize them." Well, true, but what if they don't WANT to memorize them? What if there are too many facts to memorize and they just CAN'T do it? What then? 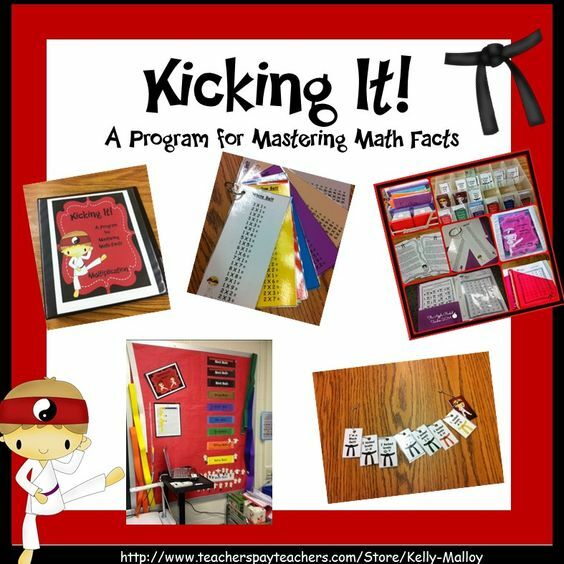 I started developing this math facts program with a karate twist! 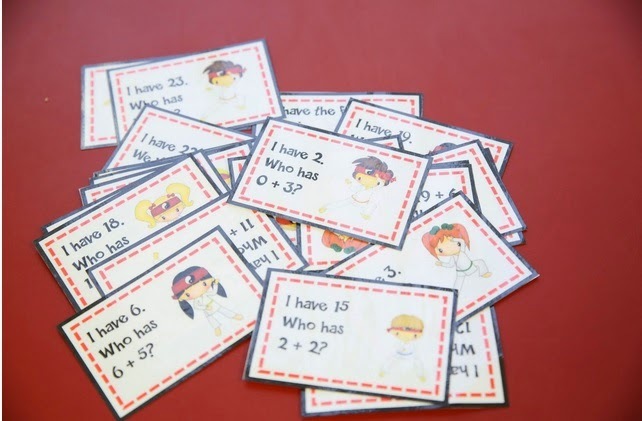 * Students can hold only 2-3 new pieces of information in their working memory at one time. That is why each new practice session only includes 2 to 3 new facts and their opposites. 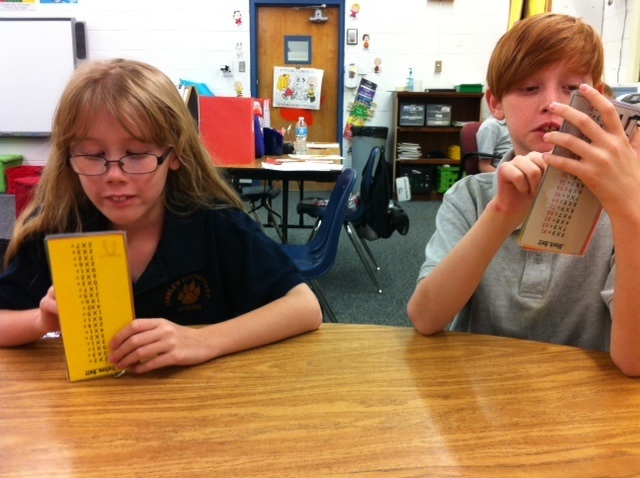 * Students learn best when they involve two or more senses in learning. 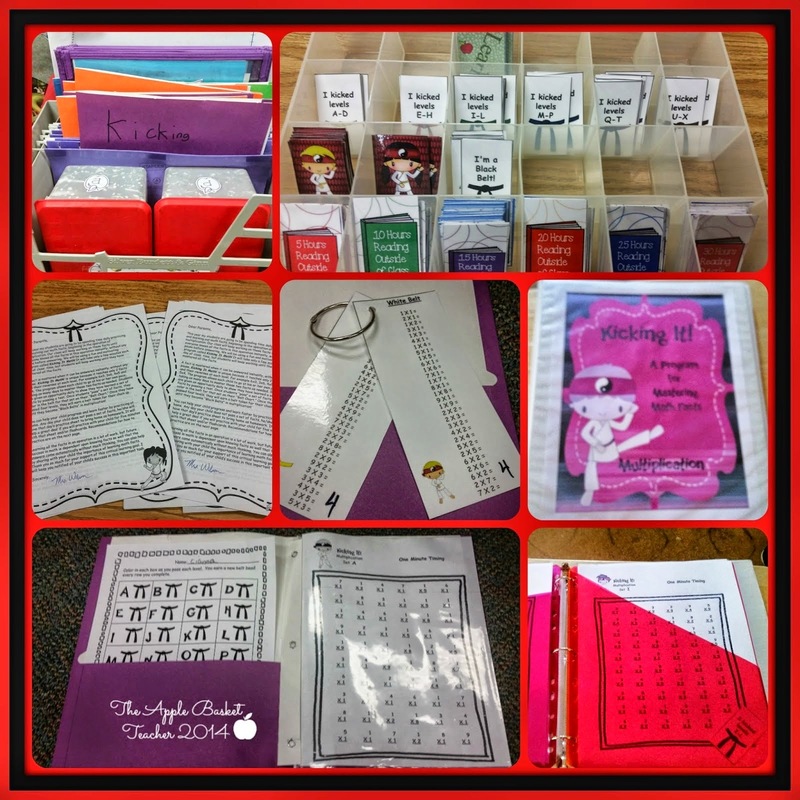 This program incorporates both oral and written practice. Learners learn 90% of what they SAY and DO (Bloom, 1987). * Students can remember things more easily when they connect new information with something they already know (Woolfolk, 1998). All new practice sheets include previously learned facts along with the new facts. This isn't simply learning their 1s, then their 2s, etc. because that doesn't work. 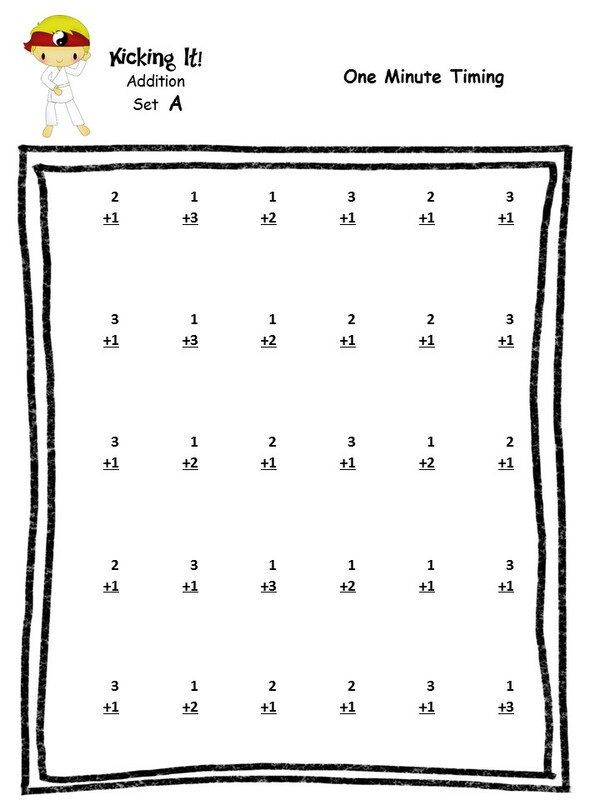 * In this program, some of the harder facts (such as 9X6 are taught in the middle rather than the end so the student really has more time to work on it). 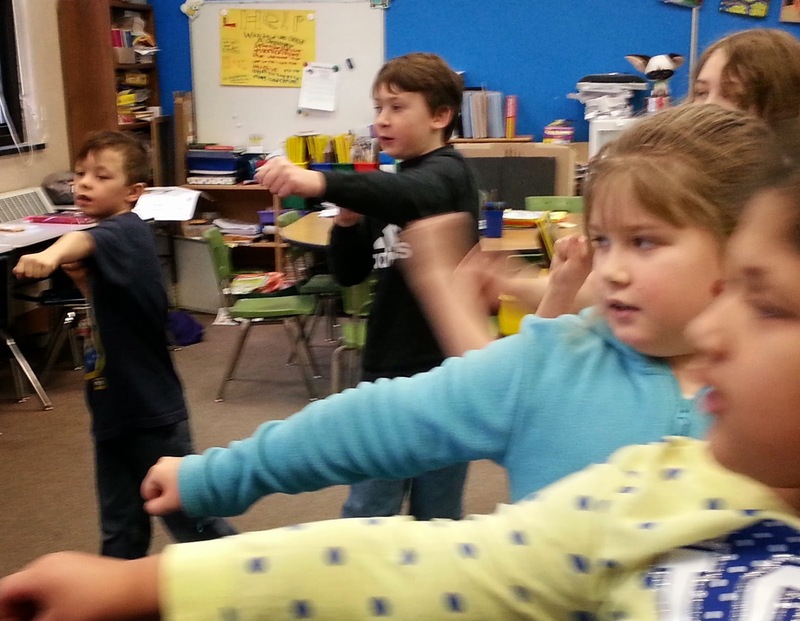 * Another way to increase student memory is through verbal rehearsal. When a student practices (at home or at school with a partner) and makes a mistake, they repeat the correct problem and answer three times to cement it in their brain. They are presented the same problem three tries later to work through it again. * Memory increases when dopamine is involved - basically if it is fun, kids will remember more! So enough of the research and on to the fun! Happy students wearing the "belts" they have won! Yes, belts, as in karate belts. 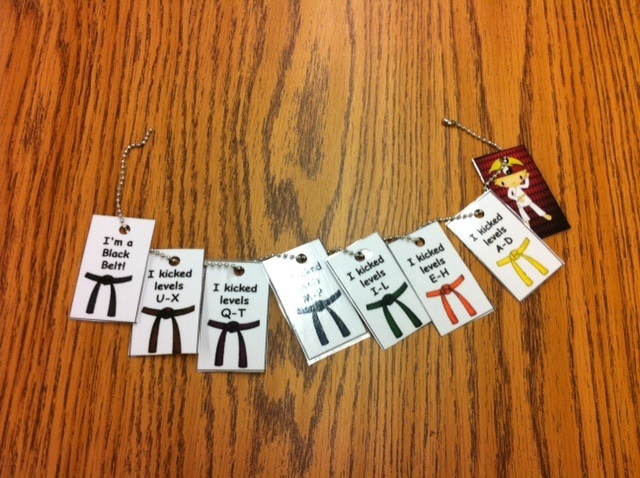 The program involves a karate theme and the students pass levels to earn different belts. They LOVE this! We start by practicing our math facts orally. Each student has their own key ring with "belts" that have the math facts on them - problems only on one side and problems and answers on the other. One student says all of the problems and answers while the other student coaches, then they switch. This takes about 2-3 minutes. Here is a close-up of the cards. 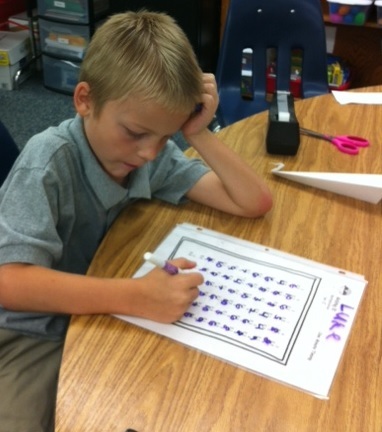 Then we complete a 1 minute timed test. 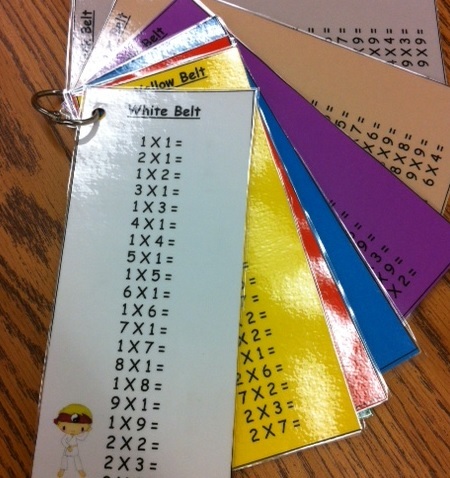 The students have folders with their current level in a sheet protector. They answer using a dry erase marker. I only make copies at the beginning of the year! Yay! If they finish before the time is up, they raise their folder above their head, I collect them, grade them, and change the sheet out if they are all correct. I have also included additional sets with less problems. Their name is also changed on our level board. I absolutely love the way that one of my teaching pals, Barbara, made her board. 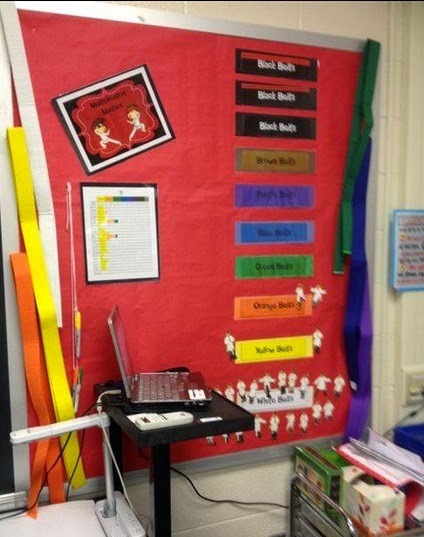 You could make the belts on the sides using bulletin board paper cut in strips and folded. She even put her kiddos' pics on the karate kids to make pieces to move. LOVE! I will definitely be doing this next year! Since this picture I have also added my son, Luke and his buddy. They have been working each day after school and are proud to be among the higher kids in my class. 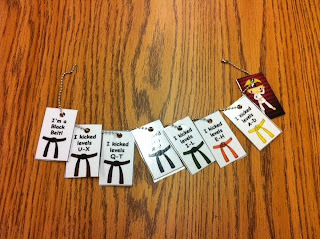 The belts have become a hot commodity on the playground and many of the kids want them. Nancy from The Apple Basket Teacher. 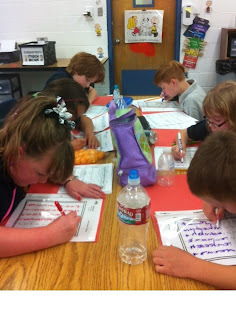 and Beth Ann from Taming my Flock of Firsties used my addition version with her class. She took some photos of a few of the games in action. Jennifer from Elementary School Garden has added an active component to the program in her classroom. 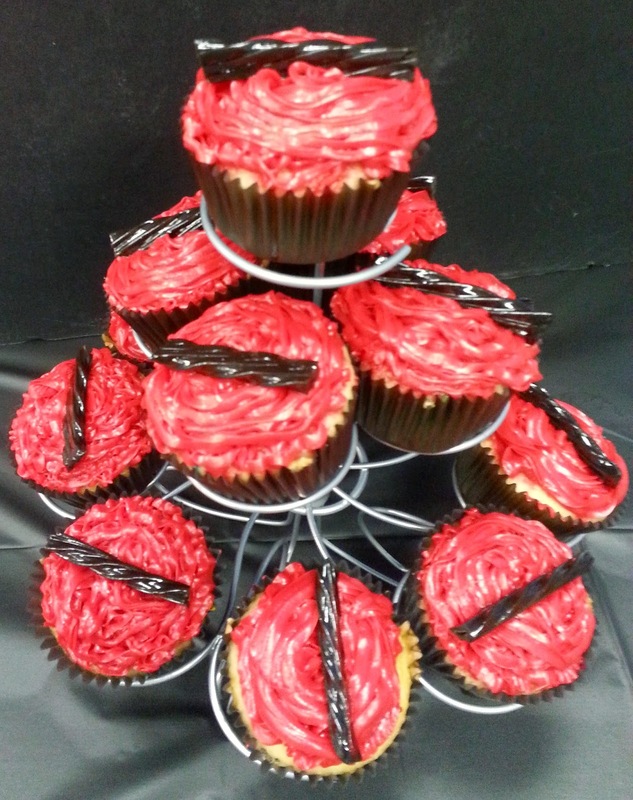 And she really knows how to celebrate those Black Belts! I have been blown away by some of the feedback that I have received! 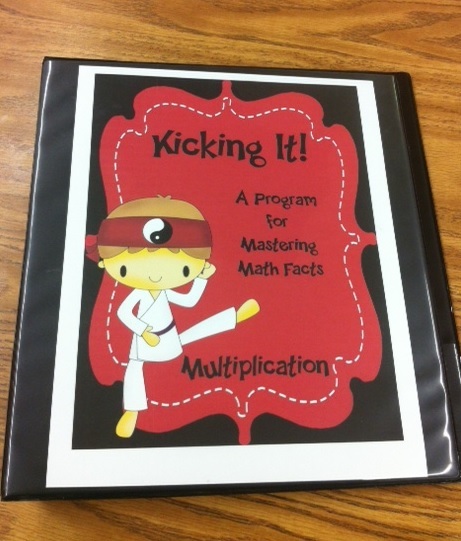 Have you implemented Kicking It Math in your classroom? I'd love to hear about it in the comments below or tag me on Twitter or Instagram. 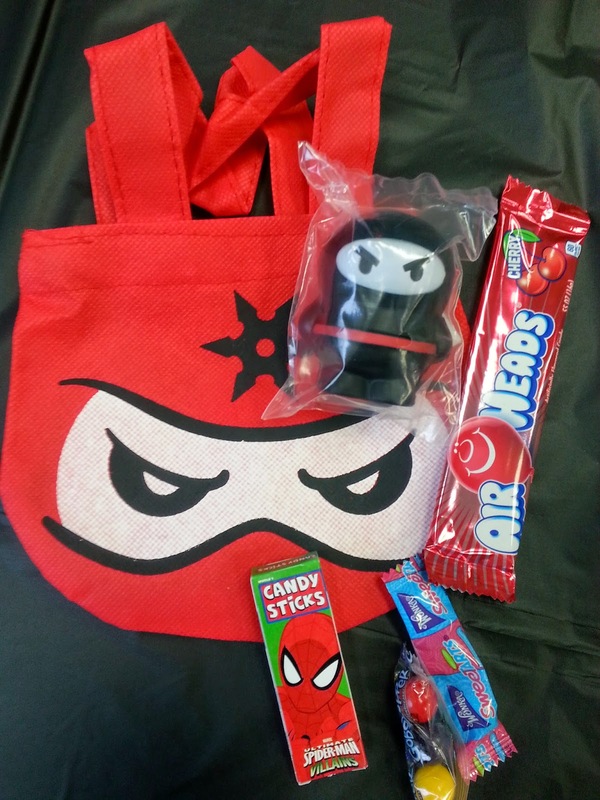 And while you're here, enter to win one of our fabulous giveaways! You can buy these products at my Teachers Pay Teachers Store. This looks like a fantastic way to help kids master their facts! Nice work! As a grade 3 teacher, I would be very interested in looking more closely at your addition and subtraction packages. This sounds like such fun! A couple questions- Do you give students an at-home component for fact practice? 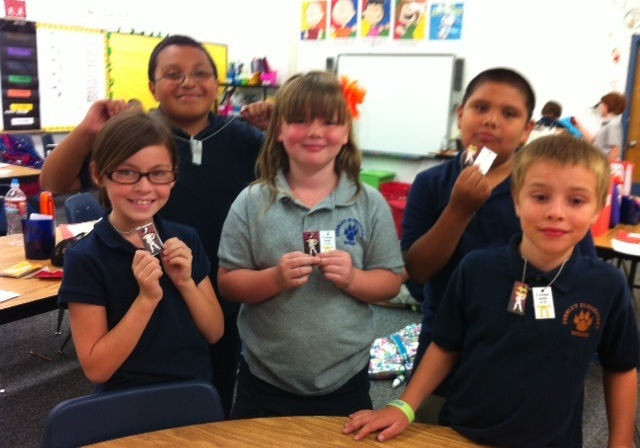 How do you store and/ or display student necklaces? I blog regularly and would love to review your product! Hi! Do you still offer the free material in exchange for a blog review? I would love to review it! But I am from Austria so the blog is german - I hope that's not a problem. Hi! I would love the chance to review this product and blog about it! I am primarily blogging on things related to students with special needs and I think this product could be very beneficial for these students! My e-mail is jjd005@gmail.com! I look forward to hearing from you! When you say one student coaches, what does that look like/involve? Super cute idea! I can see students really getting into it and I love how the theme can be expanded into the classroom as a whole in addition to being a fun way to track student progress. Thank you for the share! Looking to maybe do this with my 9 year old twin sons over the summer. They are finishing up third grade and struggling (as in not wanting) to memorize their times tables. They love Ninja's and martial arts. Would this be appropriate in a home setting? They are pretty competitive with each other. 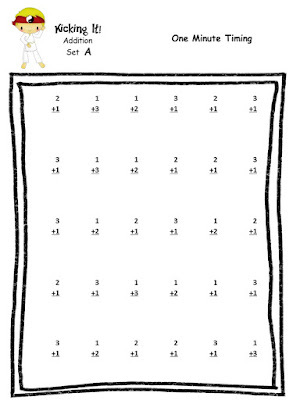 Does it cover Multiplication facts all the way up to 12x12? Thank you for creating such a great program. 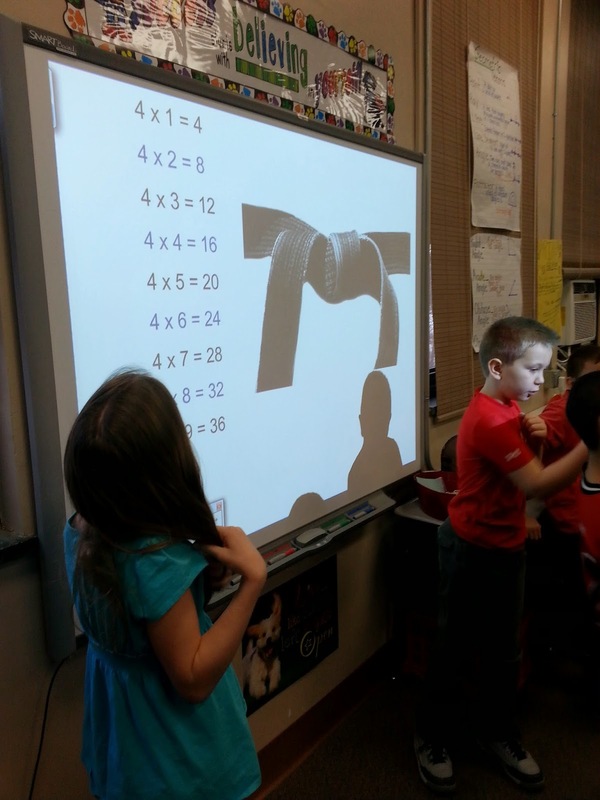 What do you consider passing for multiplication and division? Do they have to get all 60 problems correct within one minute? I consider passing to be all problems correct. If you need to adjust the time for your students feel free to do so. 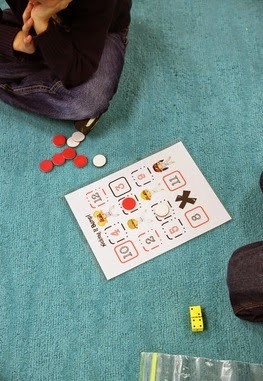 Just make sure that they are answering them quickly and not stopping to calculate using methods such as counting on their fingers or drawing pictures. The goal of this is to increase fluency. Hope that helps!